Coming to your local PBS station on April 15th, 2019. One afternoon while driving to work, Marcos Perez was pulled over for running a yellow light. He was later deported, and his wife, Elizabeth Perez, a US Army and Marine veteran, began a seven-year battle to keep their family together. Now, as Marcos struggles alone in Mexico, Elizabeth must survive as a single mother while fighting tirelessly for her husband to return to the US. As Elizabeth’s efforts hit brick wall after brick wall, she and Marcos are forced to confront the realities of US immigration law. In the end, Marcos and Elizabeth must consider the impossible in order to reunite the family. It took over 20 years and countless reviews for a writer to accurately capture the essence of David Sutherland's work, but in 2006, a piece from the Baltimore Sun finally hit the nail on the head. “No one makes documentaries the way David Sutherland does. And perhaps no one ever will; the toll is too great. The documentarian's methods more closely resemble an ethnographer's than a television director's. He steeps himself in the minute details, emotions and struggles of his subjects' lives, trying to see the world through their eyes. Never mind closing the distance between viewer and object viewed, this filmmaker all but obliterates that distinction through his own intense identification and empathy with the people he films. Elizabeth was born and raised on the east side of Cleveland, Ohio. When she was 19, she joined the National Guard. 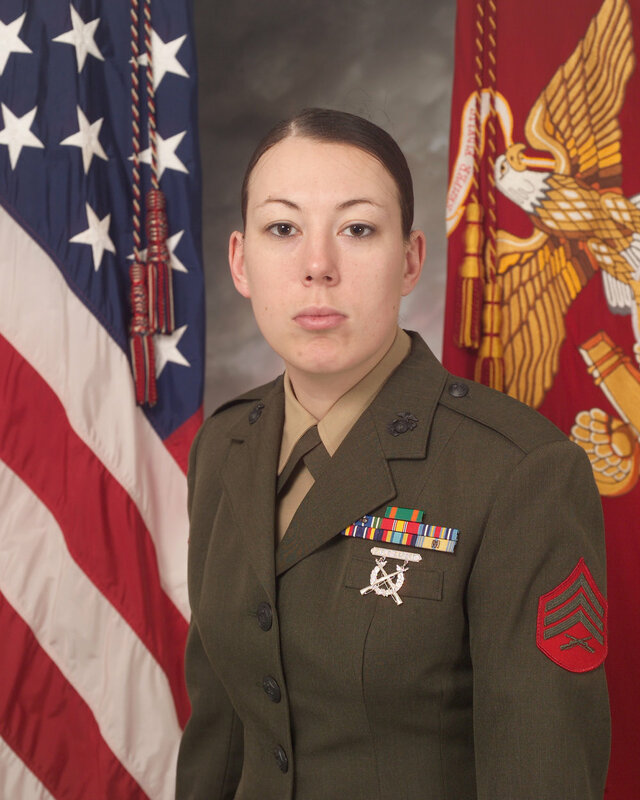 Six years later, with no break in service, she joined the Marine Corps. Since 2013, she has been an active member of HOLA, serving in several leadership roles including Project Manager and Board President. In 2014, Elizabeth earned her college degree in Social Work from Cleveland State University. She was named the Field Student of the Year for the CSU College of Liberal Arts and Sciences. Now, Elizabeth lives with her family in the Yucatan. She enjoys playing games with her children, spending time with her family, fishing, and hiking. Marcos Perez was born and raised in Mexico City. In Mexico, he worked selling bread and clothes and shining shoes. When he turned 18, he began working for the Estado de Mexico highway patrol before moving to the US. While in the states, Marcos worked as a certified English teacher and soccer referee. He also worked in a variety of agricultural, janitorial, construction, and food service jobs. When he wasn’t working at these various jobs, Marcos studied for and earned his GED. Marcos currently coaches soccer in Mexico. In his downtime, he plays soccer, makes artisanal wood art, and spends time with his family. In the fall, he will attend university to obtain a degree in soccer coaching. Veronica Dahlberg is the founder and executive director of HOLA Ohio. She was born in Canton, Ohio, the daughter of Mexican and Hungarian immigrants, and has been an advocate in Northeast Ohio’s Latino immigrant community for more than 20 years. Under her direction, HOLA Ohio has been the recipient of multiple honors, including the Torchlight Prize – a national award recognizing work that empowers the Latino community – and the Distinguished Hispanic Ohioan Award from the Ohio Commission on Latino Affairs under Gov. John Kasich. She received the 2013 Community Advocate of the Year from the Hispanic Roundtable in Cleveland and a “Characters Unite” award from NBC Universal. David Leopold is Chair of the Immigration Law Group at Ulmer & Berne LLP, a Cleveland, Ohio based law firm. In addition to his full-time immigration, visa and citizenship practice, Leopold serves as an immigration policy consultant and counsel to DHS Watch, a project of America’s Voice. He is the former president and general counsel of the American Immigration Lawyers Association (AILA). He has received AILA’s Edith Lowenstein Memorial Award, is rated “AV Preeminent” by Martindale-Hubbell, and is listed in Best Lawyers in America. Leopold has testified as an immigration law expert before the U.S. Congress and frequently writes for major publications including MSNBC.com, CNN.com, TPM.com, USAToday, The Hill and Huffington Post. His analysis frequently appears in major media outlets including The New York Times, The Washington Post, The Los Angeles Times, Politico, and Mother Jones. He appears regularly as an immigration law and policy analyst on major media outlets including CNN, MSNBC and FOX News. If Elizabeth and Marcos are married, how did he get deported? Why does Marcos have to wait ten years to apply to come back to the US? Marcos is subject to the permanent bar, because he was deported once and then re-entered the US illegally. Under the permanent bar, an individual cannot apply for a waiver until 10 years after the bar is in place. After 10 years passes, Marcos can submit a waiver. The government considers this waiver a request for consent to apply for a visa. Thus, if in 10 years, Marcos applies for a waiver, and that waiver is approved, he may then apply for a visa to enter the U.S. Approval of the waiver is not a visa. The humanitarian parole program allows inadmissible aliens into the United States in limited circumstances when there is a compelling emergency, which is why Elizabeth and Marcos made so many requests for Marcos. After their petitions were denied multiple times, the only other option was to wait the 10 years until they were eligible to submit a waiver for approval to enter the U.S.
What is HOLA, the group Elizabeth works with? HOLA is a grassroots organization based in Northeast Cleveland. They focus on community organizing, advocacy, and outreach in the area’s Latino community and beyond. Veronica Dahlberg, who is feature in the film, is the organization's founder and executive director. You can learn more about them at HOLAtoday.org. Who did the music for the film? Most of the music for the film was originally composed by Pastor Crucita Marrero. Marrero is based in Lorain, Ohio. Also featured in the film are songs by Andres Useche and Mariachi Santa Celia, a mariachi group out of Painesville, Ohio.